“My team has been working hard and meeting most of its goals. I’d like to take some time to celebrate, but I want it to be good investment. What can I do to help them become more of a team? An amazing team-building event leaves people talking about it for a long time to come. Sharing a new experience away from the day-to-day environment is fun and invigorating. 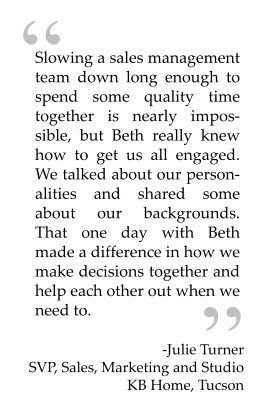 But getting to know each other better is the lasting reward. People come back with more understanding of who their colleagues really are. Barriers come down and trust grows. They are more willing to work together, helping each other out when needed to hit their goals. Most leaders know that getting away from the office to have fun as a team can be a great way to recognize hard work and accomplishments. Many on the team will love the idea. But some might not see the value in taking a break together for mandatory fun, preferring to get their work done so they can get home to their other lives. People who are close to each other at work will tend to stick together during the offsite. Those who are inclined to stay to themselves will likely feel uncomfortable trying to socialize, causing them to feel even more alienated from the others. Back at the office, not much will have changed, except that everyone will be tired, projects will be further behind and the budget will have been spent. Whether it’s a week of backpacking in the wilderness or an afternoon of bowling and happy hour, for your team-building event to be seen as a reward, it needs to be fun. Asking what your team would like to do and planning around that is easy. 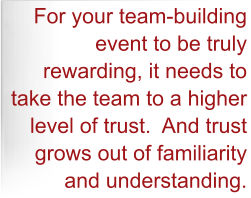 But for your team-building event to be truly rewarding, it needs to take the team to a higher level of trust. And trust grows out of familiarity and understanding. Fortunately, nearly everyone would really love to be better understood. Most are interested in understanding their teammates more too. So it’s not difficult to get a team engaged in retreat activities toward this objective. When I support you with your team-building event, I help you identify the team’s most critical need at the time, typically by talking with a few members of the team. What we learn leads to a theme that will run through all the activities, even the parts that might seem like pure entertainment. For example, if your team is having trouble communicating with each other, I may ask them to come prepared with a relevant, sometimes off-beat assignment, or give them a self-assessment like the DISC. Early in the retreat, we’ll have a light debrief of the homework or assessment and a light exercise to illustrate the extremes of each person’s style or communication preferences. Then throughout the retreat, or at the end, I may ask them to exaggerate their own style or “channel” their teammates in a way that furthers their understanding of each other while adding to the fun, rather than interrupting it. 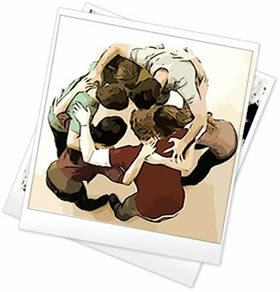 Investing the time and money in a team-building event is a great way to recognize your team for a job well done. Part of planning the event is being intentional about your role in it. You’ll want to show your full support for the team by kicking the event off with your appreciation, including a review of their accomplishments. They’ll want you to celebrate with them, rather than keep your distance as a host. They’ll also be eager to get to know you better, so appropriate self-disclosure is called for. Showing up with these intentions will set the right tone and make the event a lasting success.